WordPress Website, 24Hr Lockouts - NOYO Web Development Inc. This is an honest, reliable and veteran web development group who surpassed our expectations; you couldn't ask for a better web design experience! Established in 1999, 24Hr Lockouts has been committed to offering the most professional, reliable, fast and affordable lockout service possible. 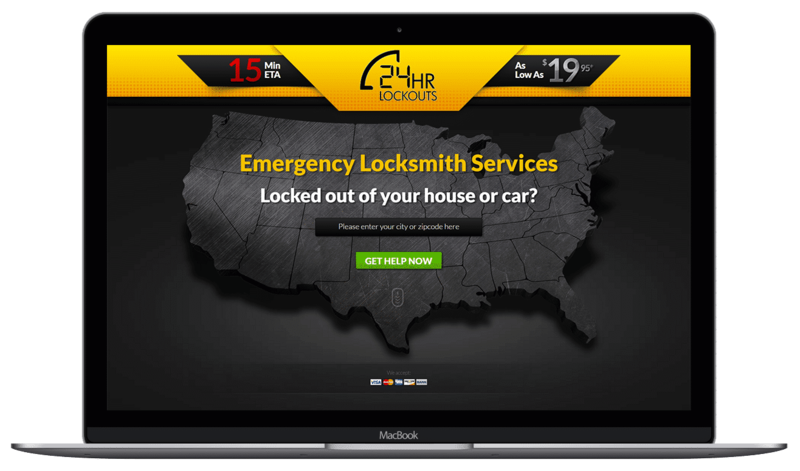 24Hr Lockouts leverages the latest innovations in technology, a vast network of quality locksmiths, and superior training to bring you a streamlined, seamless customer experience that will exceed your expectations during stressful events. Their dispatchers are highly trained to obtain the critical information needed to send out just the right locksmith for your circumstances. In addition, they remain committed to providing affordable lockout services, especially most emergency child lockouts. Today, 24Hr Lockouts has expanded throughout major cities in the United States, and continue to expand as their success and superior service exceeds the competition. 24Hr Lockouts mission is to be the very best emergency locksmith service in the United States.